Lighthouse Stamp Stock book with Black Pages and Glassine Interleaving in blue LSP4/32AMBL - includes 64 pages (32 double sided). Each page is made of acid-free archival stock paper with 9 strips to hold your stamps. Double glassine interleaving is provided between each page. 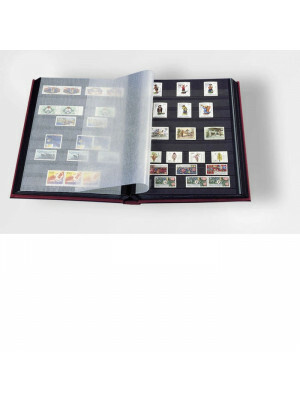 This Stock book is a great way to display and preserve your stamp collection! 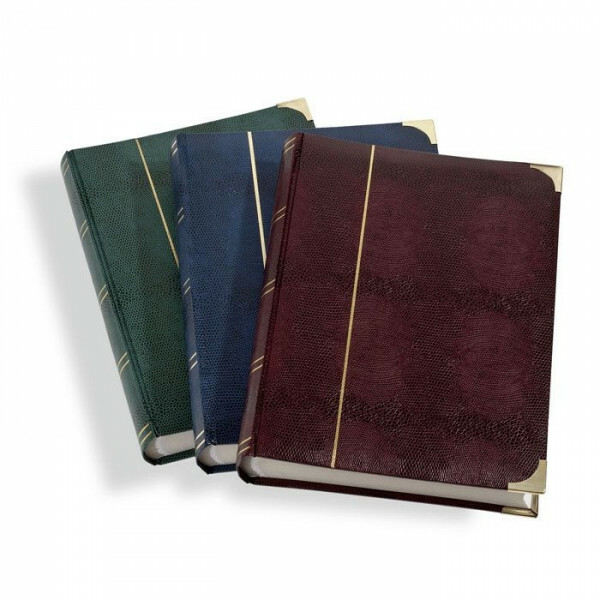 Stock-books are simple bound stamp albums of heavy cardboard pages with strips to hold the stamps. They are available in an endless array of sizes, shapes and colors. Stock-books are useful for storing stamps not yet given space in printed albums, as well as keeping duplicates and extra stamps for trading. They are also recommended for starting topical collections or safe-keeping your most valuable stamps in deposit boxes.